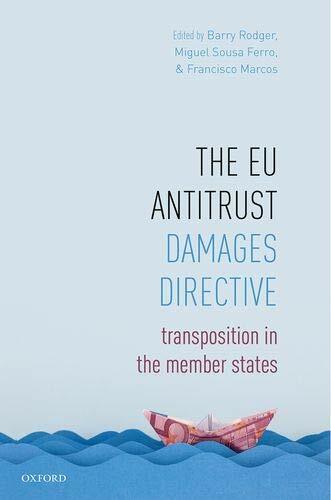 This book makes a significant and original contribution to the literature on the developing area of private enforcement of EU competition law. 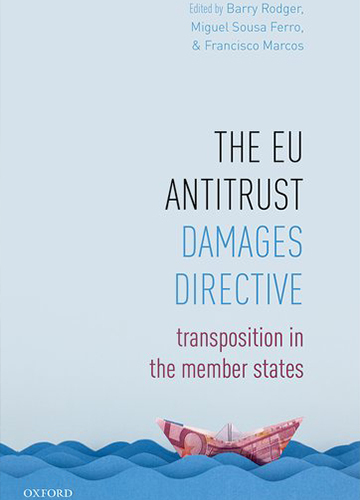 It delivers a significant, rigorous and comprehensive analysis of the transposition across a broad selection of Member States (MS) of a major EU Directive introduced with the aim of harmonising and facilitation competition law damages actions across the European Union. 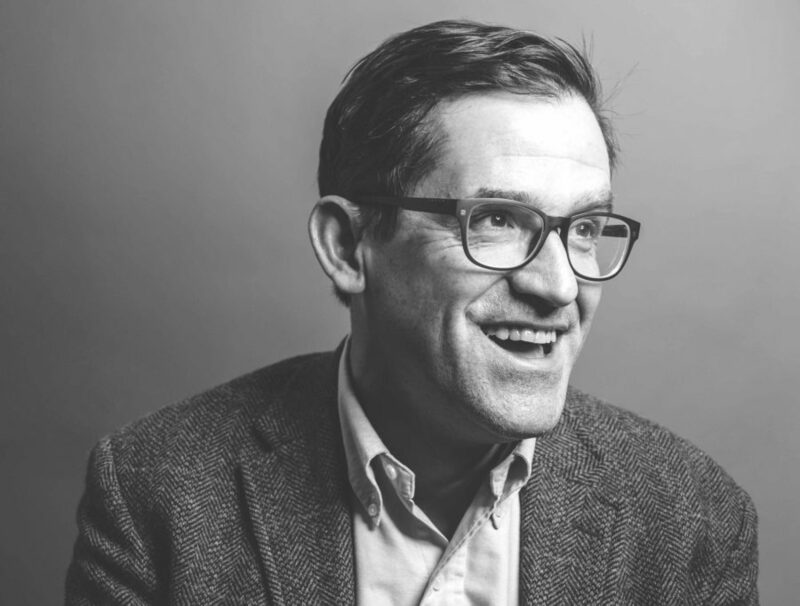 Francisco Marcos is a law and economics scholar with more than 10 years' professional experience in research and advisory work on competition law and policy (both in the private sector and as former head of an investigation unit in a competition agency). Since 2003 he has been a Professor of Law at IE Law School, Madrid. He has also been Acting Director of the Vasque Competition Authority's Investigation Unit on two cases (Sep 2015, May 2016). He has been a consultant with several missions in developing countries in the Andean region (Ecuador, 2005 and 2006; Peru, 2007; Bolivia, 2016), in Central America (Guatemala, 2014; El Salvador, 2009), in Africa (EAC-Uganda, 2013; Zambia, 2012), as well as in other regions (Romania, 2012; Armenia 2013; Jordan, 2006; Mexico, 2014), rendering advice to governments (under contract by WB-IFC 2012-15, and European Commission, 2005, 2006, and 2014), and to private firms concerning the enactment, implementation, and enforcement of competition policy.